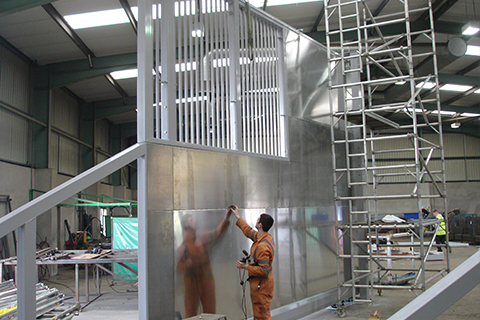 Inova Gates Ltd prides itself in providing a first class service to all its customers. From your very first initial phone call, fax or email enquiry right through to site installation of our products you will experience the ultimate in quality, service, support and value. As a family run company we strive to offer the best in customer service. We offer professional yet friendly service helping our customers to select the right product that suits you, together with competitive prices. Inova Gates are certified with Safe-T-Cert, Construction Skills Register (CSR) and Construction-Line Registered. Inova Gates believes in investing in company management and staff development to ensure the future is bright. Installation is one of our key services; our reputation as skilled, reliable and efficient contractors and engineer’s is recognised throughout the construction industry. Once the products leave our manufacturing premises right through to the fitting on site, extreme health and safety measures are taken to ensure that everything is done to the highest standard, quality and finish. Upon completion of the 12 month warranty period, Inova gates offer our client’s a “Maintenance Agreement” option for their gate product. This involves our Gate Engineer’s calling out to maintain your gate at your site location when required. Our maintenance agreements can be renewed yearly. Inova Gates is a professional, expanding company and is dedicated in providing successful products and services to all its customers. If you have any questions or would like a free quote, feel free to contact us on +44 (0)28 7962 7264 or sales@inovagates.com.